We invite you on a journey where you will DISCOVER how you and others learn and grow, DARE to take a next step in your life and DIVE IN your personal growth. Come and join us in creating new dimensions of learning, education and development for yourself and for others. 20 participants. 6 nationalities. 10 days of an intense personal development programme. Synergy method. Experienced international team. 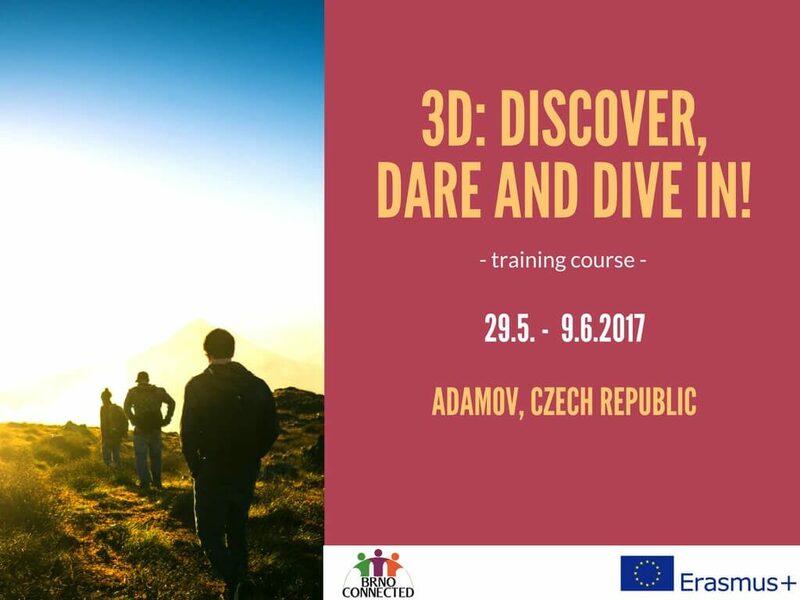 „3D: Discover, Dare and Dive In!“ is a ten days international training focusing on the topic of education, learning and personal development. In an international group, we will explore how we learn and how we support others in learning, how we motivate ourselves and others, how we make education playful and fun experience and how to be creative in learning. Through experiential activities we will see how to take responsibility for our own learning, how to discover and develop potential of every individual and how to go for our maximum in life. We will be looking for synergies and interconnections between formal and non-formal education and explore how to implement non-formal education methods into the formal environment. The target group are youth workers, volunteers, teachers, trainers, social workers and everybody interested in formal and non-formal education and learning, who want to share their practices and learn new tools and methods that are usable in their everyday personal and professional life. The approach we are using in the project is basic Synergy training, a personal development method shared among organisations around Europe that belong to International Synergy Group.